Braven Brewing Company is launching their newest creation, Las Tumbas, in Bushwick and all over NYC this week. The masterminds behind Bushwick Pilsner are brewing up a new draft. 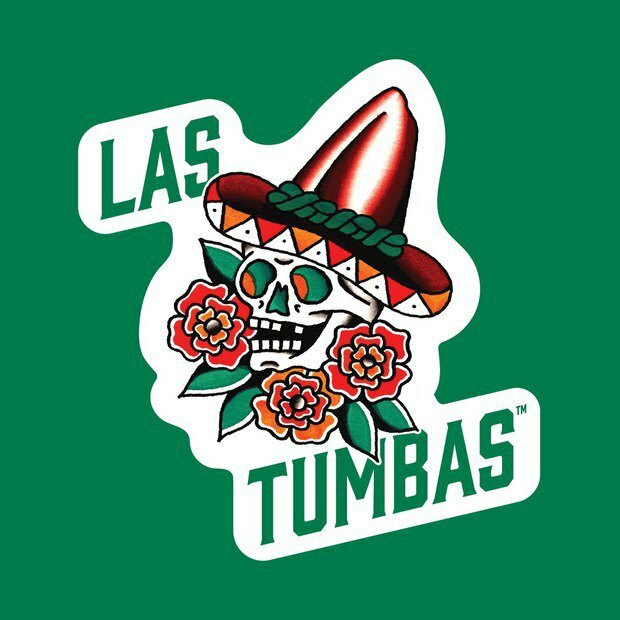 On Tuesday, Braven Brewing Company released its latest spicy addtion, Las Tumbas. The brand new stout is brewed with chocolate malt and infused with orange and habanero for a flavor as original as its logo; Las Tumbas bottles are adorned with artwork by Williamsburg tattoo artist Dan Nelson. Braven's co-founder and CEO Marshall Thompson is excited to release Las Tumbas to the public. "We've been working on this particular style of beer for almost three and a half years," he says. "We launched Braven with a few other more mainstream styles, but we think that Bushwick and New York City are ready for an orange/habanero/chocolate stout now that they've tried some of our other beers." Braven Brewing Company is set to kick off their Las Tumbas Launch at Heavy Woods this Friday at 8:00pm. Stop by to try the newest Braven brew— you can RSVP on Facebook here! 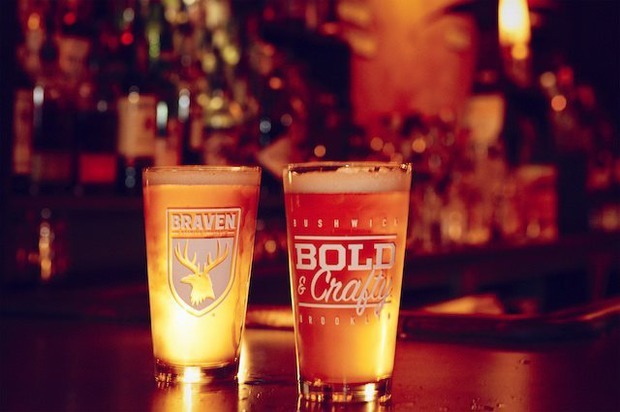 Featured image: Braven brews at the bar. Photo from the Bushwick Daily archives.